Goodreads says, "Summer is a magical time in New York City and Carrie is in love with all of it—the crazy characters in her neighborhood, the vintage-clothing boutiques, the wild parties, and the glamorous man who has swept her off her feet. 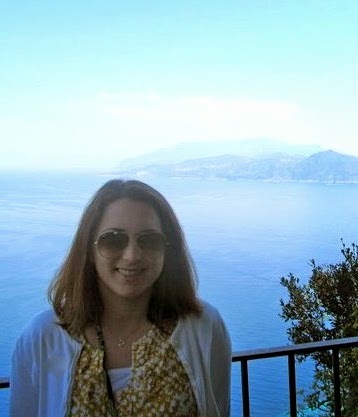 Best of all, she's finally in a real writing class, taking her first steps toward fulfilling her dream. This sequel to The Carrie Diaries brings surprising revelations as Carrie learns to navigate her way around the Big Apple, going from being a country "sparrow"—as Samantha Jones dubs her—to the person she always wanted to be. But as it becomes increasingly difficult to reconcile her past with her future, Carrie realizes that making it in New York is much more complicated than she ever imagined." Carrie is living her dream in New York City by taking a writing class at The New School. She is only here for the summer since she leaves for Brown in the fall. In Summer and the City, she becomes better friends with Samantha and in turn, meets some interesting people and even finds a romantic interest. She attends fancy parties, meets wealthy people, and finds herself in some crazy situations. Also, Carrie befriends Miranda and starts to get to know her better as well. During this exciting summer, there's one thing in the back of Carrie's mind though. Does she have what it takes to be a writer in New York City? 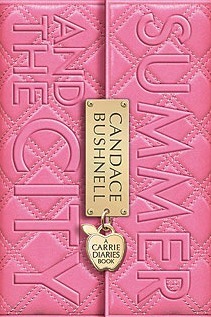 This is Candace Bushnell's second installment in the whimsical and fun series, The Carrie Diaries. Summer and the City the perfect book to read while soaking up the rays at the beach. I can't deny how much fun it is to be back in Carrie's world. I am a huge SATC fan and just like in The Carrie Diaries, it was fun to get the backstory on one of my favorite characters of all time, Carrie Bradshaw. Of course she was enjoyable this time around and there were plenty of Carrie's trademark witty comments! On the other hand, Carrie is definitely trying to find her way in this novel. She doesn't feel a part of home anymore and most of her friend from home, especially Maggie, don't seem to get her anymore now that she is living in NYC. Carrie finds herself falling in the love with the city and doesn't really want to leave, which puts her in a difficult situation. Fans of Samantha will love this book, because she definitely plays a bigger role. In fact, Carrie lives with her at one point. Readers will get the complete back story on Samantha and it sheds some light on why she is the way she is. Lets just say I was a bit surprised by what Samantha was up to in Summer and the City, but it all make sense by the end of the novel. Also, Miranda was her usual super opinionated self and I enjoyed getting her backstory as well. In true Miranda fashion, she had me laughing out loud at some of the crazy things she says. I loved how their friendship developed and to top it off, how they met is hilarious! The one thing that annoyed me a bit was the repetitive plot as there's REALLY not that much going on in Summer and the City. Carrie wants to be a writer, Carrie dates an older man, Carrie goes to wild parties, Carrie hangs out with Samantha and Miranda, etc. I needed a bit more conflict in order to give it a higher rating; however, the fact that I am a fan of Carrie and SATC made me stick with the book. I adored the ending of Summer and the City and if you read The Carrie Diaries, you can probably figure out what I am alluding to. This series is turning out to be the perfect mind-candy for a sunny pool day. One thing is for sure, there's nothing like a gorgeous summer day and a little Carrie Bradshaw. I never got onto the SATC bandwagon (mostly because we didn't have HBO and therefore I couldn't watch it), but it would be fun to read about their younger versions:) Too bade there's not as much conflict as you would have liked, but it still sounds like a fun read. Awesome review Christina! I have this one sitting on my shelf at home. I have to make time to read it. I too am a huge SATC fan. I adored the first book, so I'm def. looking forward reading this book. Too bad that nothing really BIG happens in this book. ;) Great review. Thanks for visiting, guys! 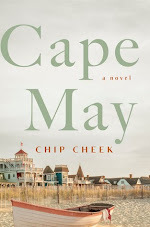 It's definitely a fun summertime read and if you enjoyed the first book, you'll like this one. I really need to read this one before the summer ends! I'm a huge SATC fan too, and I really enjoyed The Carrie Diaries. I have to bump this one up my TBR pile! Wow! I hadn't heard someone was working on a SATC YA series, but I'll definitely be checking this out. How fun to read about the characters before they became the characters we've known and loved. Thanks for the rec! I really have to read this one, it's been sat on my shelf for toooooooo long!